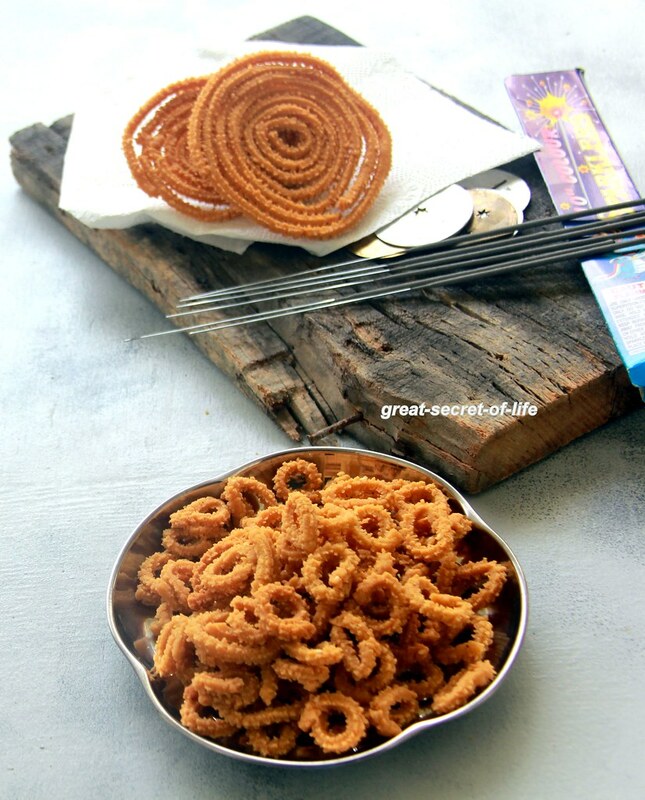 Any new version of murukku will tempt me to try immediately. I saw this version at Jey's space for this Diwali. So I bookmarked it. 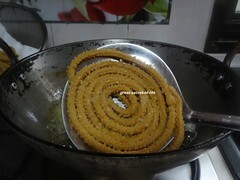 I have posted murukku with urad dal flour. 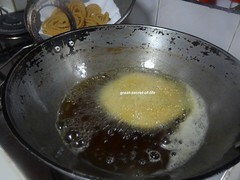 Or with Roasted gram dal flour or Moong dal flour. 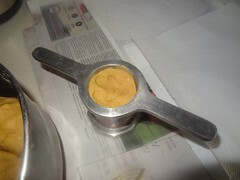 But so far Bengal gram dhal flour or mix of lentil flours are not something I have tasted before. 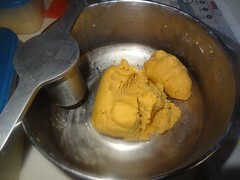 I was tempted by ingredients and mix of it. So I have decided to give it a try. 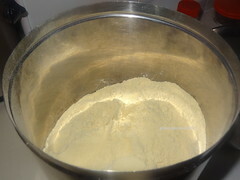 I have given it to Mill to make powder (Mavvu). 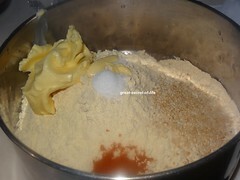 I felt the flour was not so fine so Wondering how it will turn out. But it came out extremely good. 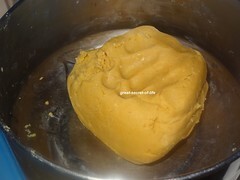 I have made this in few batches so you can see I have tried all kind of different shapes. My kids loved every version of it. 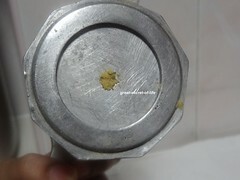 Take the star holed plate in the murukku press and fill it with the prepared dough. 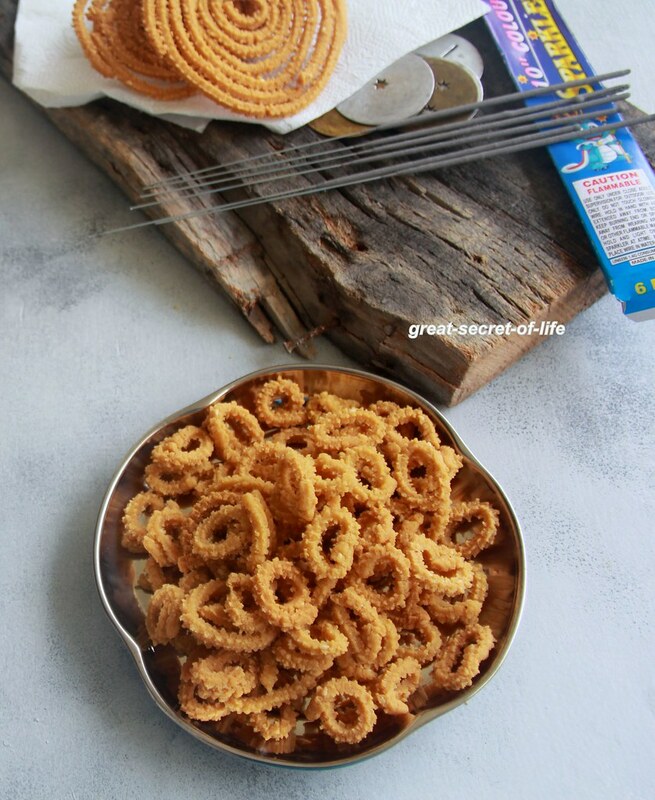 Make favourite shape murukku on a tissue paper by pressing the murukku press. 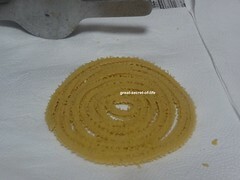 You can do it on the back of the laddle too..
wow! 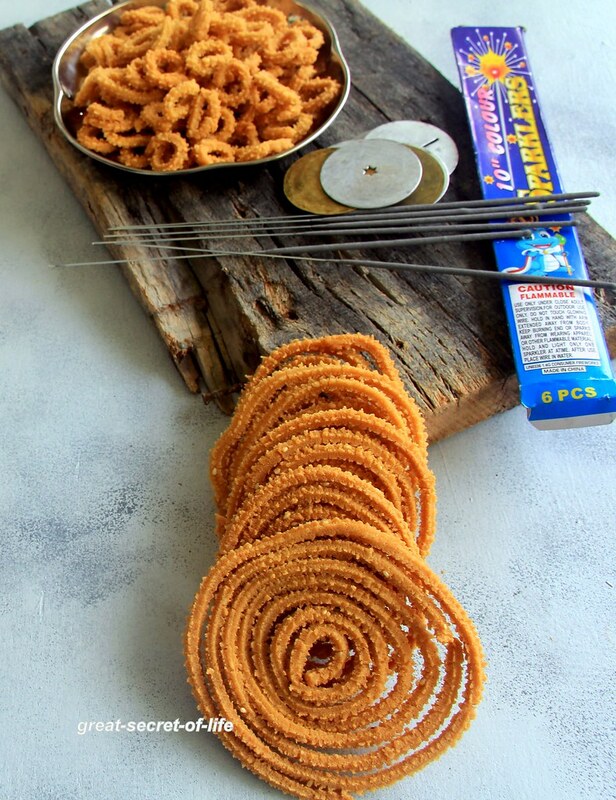 looks super crunchy and spicy!